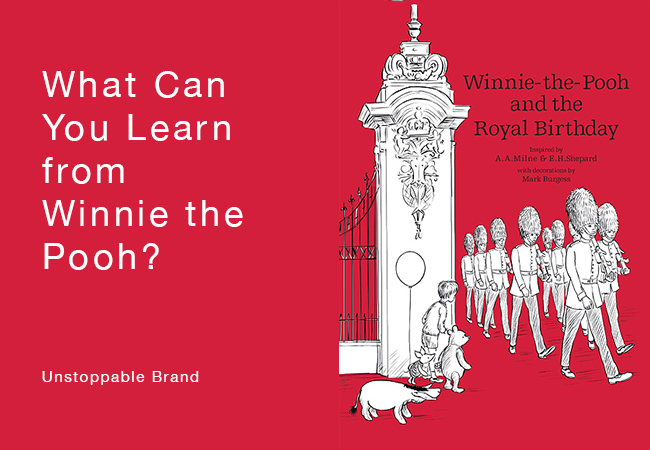 So Winnie the Pooh has come out with a new book: Winnie the Pooh and the royal Birthday. It was news to me that Winnie and the Queen are both 90 years old this year. And frankly, it has been awhile since I have read a Pooh book. Think of all the children’s books that have been written over the years. In 2009 alone 21,878 children’s book titles were published. Pretty impressive that the unassuming Winnie with the rather puzzling name has held our attention for 90 years in spite of so much competition! Originally the Winnie-the-Pooh stories spread through translations of the original books. A Latin translation appeared in 1958 and earned the distinction of being the only book written Latin to reach the New York Times best seller list. Another first for Winnie! Over the years Pooh’s fame remained strong through various Pooh-themed dolls, board games, records, puzzles and finally animations and movies. Winnie caught the attention of Disney and since the 1960’s Disney has been paying royalties for the use of the characters. But it 2001, Disney paid $350 million for the complete rights. At least until 2026 when the copyright expires. $350 million? Wow that is a lot of honey. And now Pooh has a new story: Winnie the Pooh and the Royal Birthday. Pooh still lives with Piglet and the rest of his pals in the forest, but when he found out about the Queen’s birthday, a trip to London was the right thing to do. Appropriately for the 21st century, his new book is out only in digital format. And it is free! Being a Winnie the Pooh fan I watched the video and loved it. But as I was watching I was also thinking about the Pooh brand. Winnie is known as being a bit slow-witted and yet he has a large dose of common sense. I started to wonder if Winnie had any advice for us. After all Winnie the Pooh has survived the ups and downs of marketing for 90 years. He is still going strong. Disney has turned the lovable Pooh bear into a phenomenon second only to Mickey Mouse in the Disney collection of animated characters. Not bad for a shy bear. Here are a few takeaways we can learn from Pooh’s new book. These ideas are not just about stories. After all, you are telling purpose-told stories, not writing fiction. Good business ideas come from unexpected places. We find inspiration all the time in unrelated industries and Winnie has some good business advice for us. People love hearing a story repeated. If you have kids, you know how much they clamor for the same bed time story. It is like revisiting an old friend. So don’t think you have told your story once and now should put it away. Don’t bore people with repetition, but don’t let a great story gather dust. Maybe a retelling in your onboarding series of emails for new customers is in order. Or a link to the story from your web site footer? A good story should never be too far out of the spotlight. Stories can move to new locations. Winnie is out of the forest and now in London on his way to see the Queen. Quite new surroundings for him and yet he still has his same simple charm. He is having new adventures and the story show familiar characters in new situations. He has moved to new location—London! You can’t move your founding story around on a whim but what about your other stories? New locations will involve new people. Your business, and your stories, should evolve. Maybe it is time to look at some of your foundation stories to see if they need a little updating. Repeating a story gives you a chance to introduce new people to it. Many kids may know Winnie only as a Disney character. This new digital book is a chance to introduce all kids to the original format and to introduce some who may not know about Winnie at all. In addition to your stories, think about your products and services. Is it time to think of new audiences for what you do? Give your story away for free. You probably aren’t selling your stories but you may have other ways to give away something valuable for your audience., I am not a fan of randomly giving things away for free. Free usually comes with a feeling of no value. But done strategically it can be a goldmine. New food products do this all the time in the grocery store,” Oh, don’t you want to try a sample of our new sausage, pickles, pasta sauce . . .” The same for a free trial of a non-food product or a free consultation for a consultant. But this doesn’t have to be a tactic only for new products. Why not reintroduce people to your existing products? A free sample is a great motivator. Just as this new Winnie the Pooh book will remind parents to read Winnie to their kids, you can remind people of your products that may have drifted out of their consciousness. We are so attracted to the new, bight shiny things . . . we sometimes forget about the steady Eddies that are useful. Winnie has gone digital! What about your stories? Do you give them room to grow and evolve? Video with online distribution. Can your stories have a new medium? SlideShare? Video? WhiteBoard animation? Thinking beyond stories, do you have other things you can provide in a new format? Get out of your comfort zone. In this story Winnie is out to London, a quite scary place for a shy bear. But he is motivated by the important goal of giving his birthday greeting to the Queen. Are you using social media or just using some excuse to stay away even if you know your customers are there? Are you willing to speak at networking events? What promotional opportunities are you avoiding because they are not in your comfort zone? Is there a way you could channel your inner Winnie to enlarge that zone to fit in some new activities? Tie two events together. Our stories and our businesses do not have to live in isolation. We can celebrate our milestones with another popular event or with another person / business. We do this all time with Super Bowl sales, Back to School events and Mother’s Day promotions. Those are expected times to offer special deals. What about the more unusual things happening in your area? Why not research important dates in your history and see if there is a tie-in to something unrelated that you use for a promotion or a story. Leverage another’s popularity. Winnie, as popular as he is, got a big boost because of the royal birthday and the popularity of Prince George. Look for opportunities to find your version of a Prince George. Of course, the Queen will not be willing to help promote your auto repair business. But have you ever thought of getting a celebrity endorsement? What about a local celebrity? Don’t over promise. The promo had a teaser that Prince George would be featured in the book. Yes, he is everybody’s favorite prince. But George is only mentioned in a single paragraph. That is all. He is only referred to as a “little boy.” (obviously Piglet and friends have no idea who Price George is.). I was hoping George would have a bigger role in the book. Don’t over promise with your stories or your business promotions. Make a promise and deliver or you end up disappointing your fans. Be sure sure you welcome people new to your story. People unfamiliar with Eyesore, Winnie, Piglet, etc. may have not have been as enchanted with the new story as old-time fans of Winnie. They don’t have the same connection so may need more time to warm up. Don’t assume everyone new to your business knows your backstory. We can be too close to our stories and think that everyone is saturated with them. But new people are coming into our world every day and we need to welcome them and make them feel part of our story. Some of Winnie’s wisdom might have an obvious fit for you. Others may be completely out of the question. But stretching your thinking to include these more outlandish ideas, is a good mental exercise. It may open you to other ideas as perfect for your business as honey is for Pooh.